Pierce McKennon joined the 4th Fighter Group in early 1943. 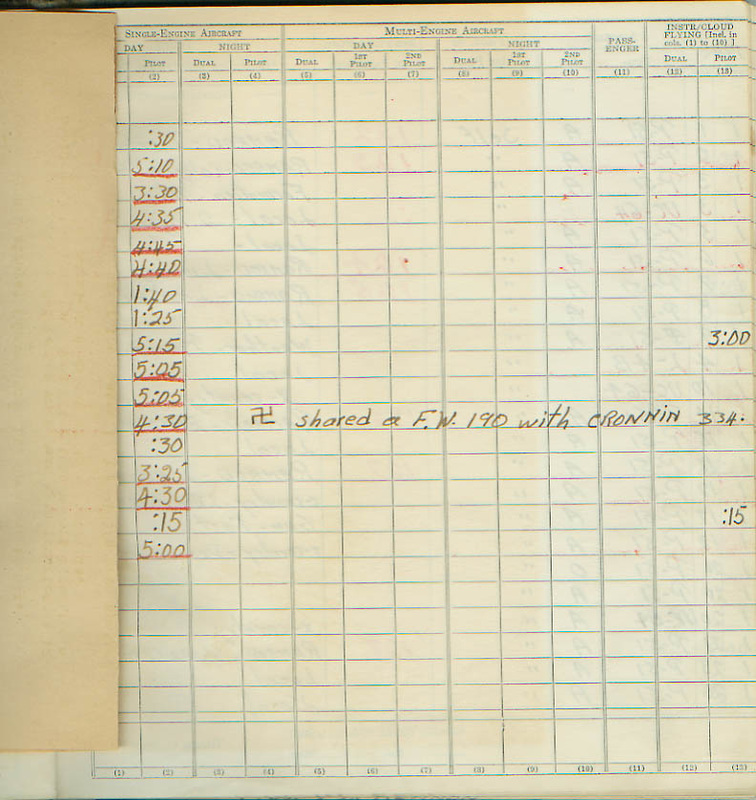 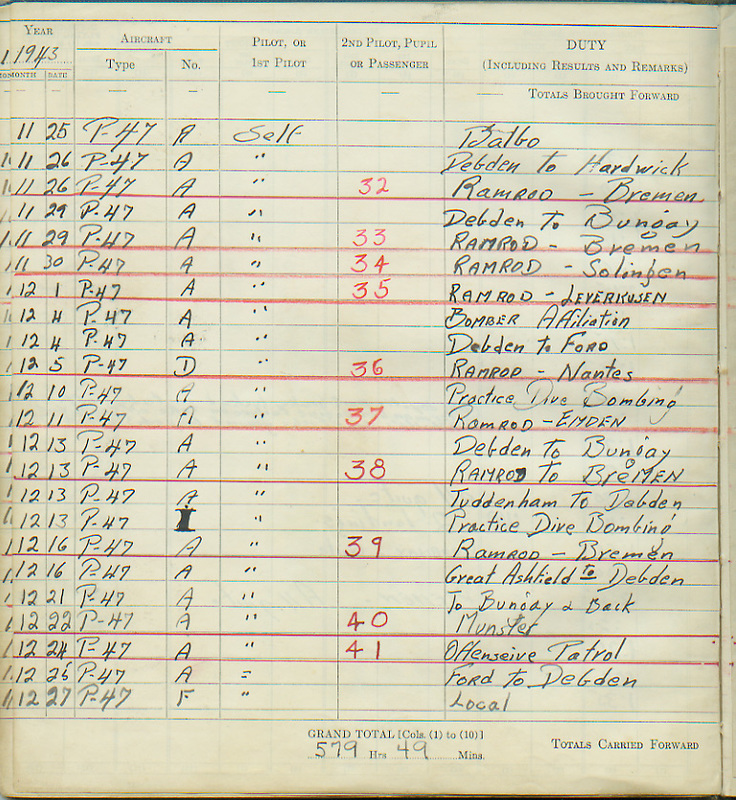 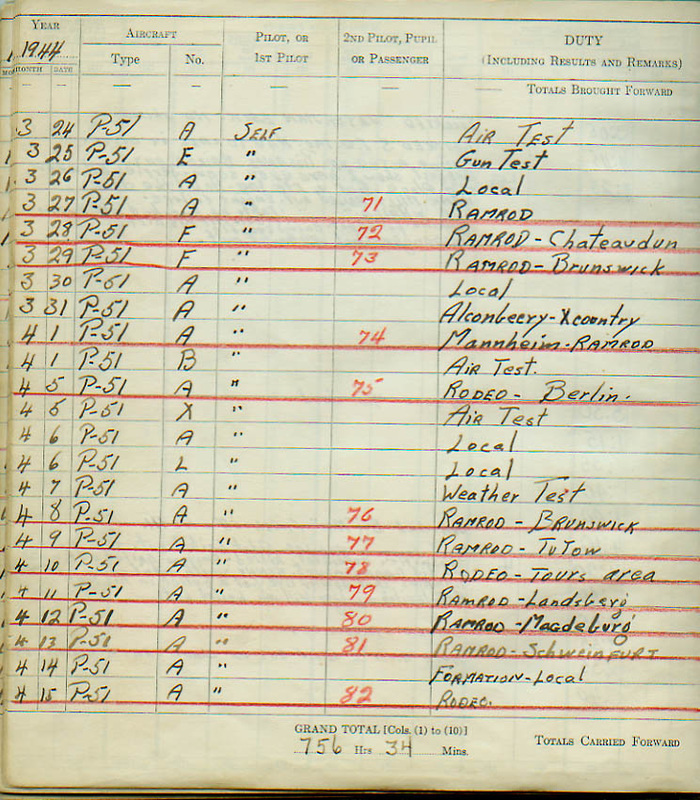 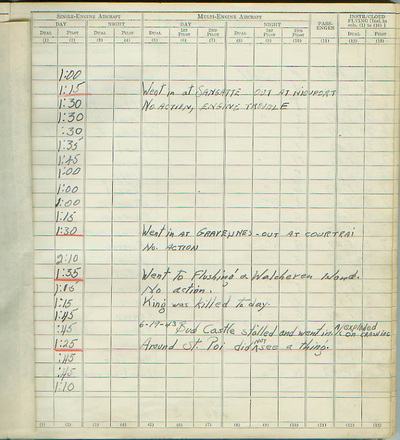 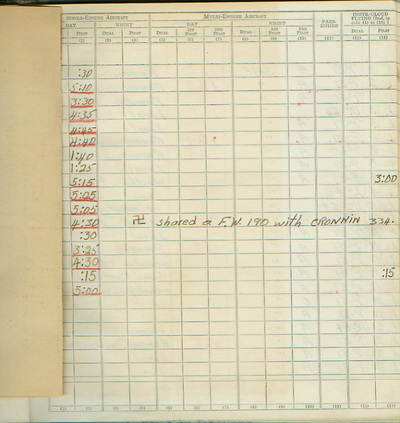 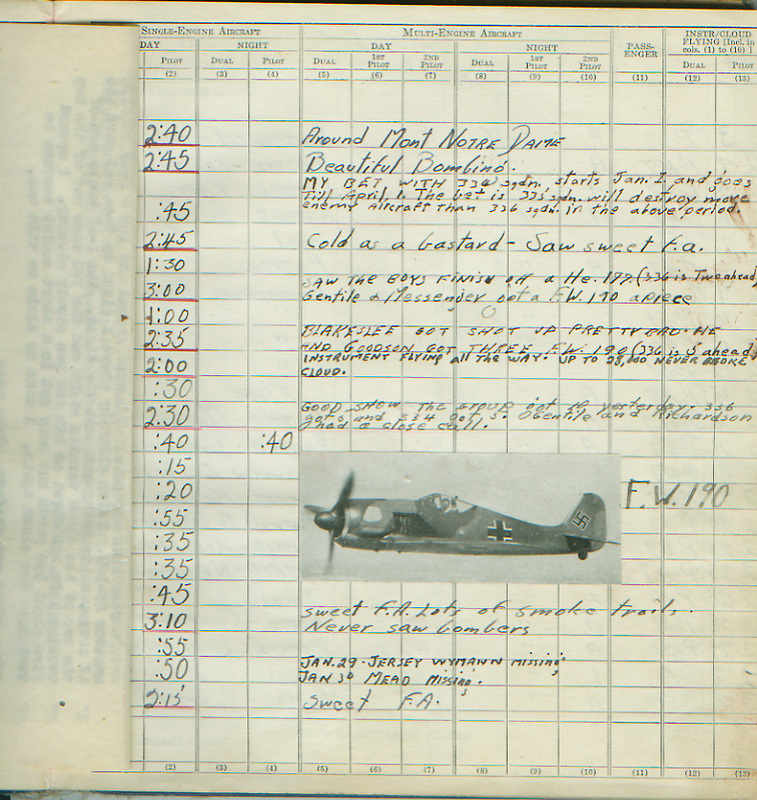 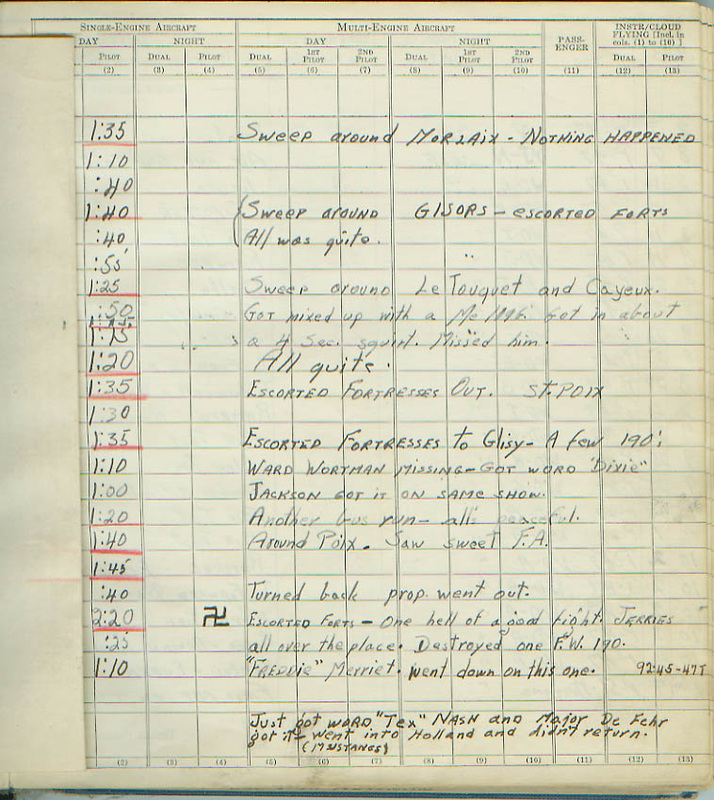 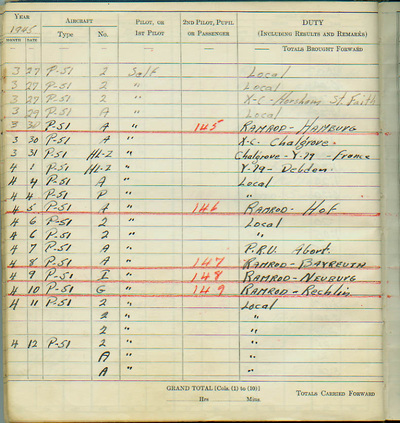 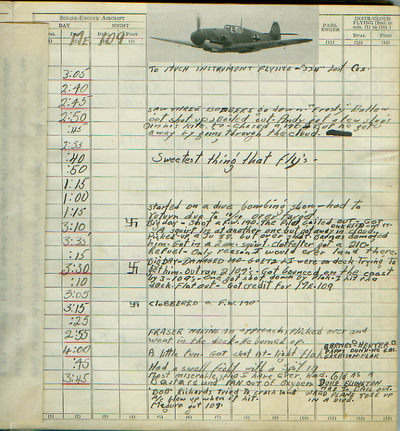 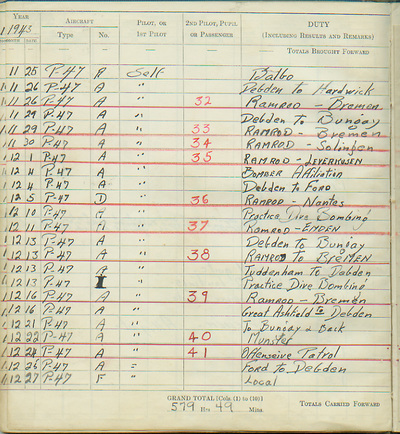 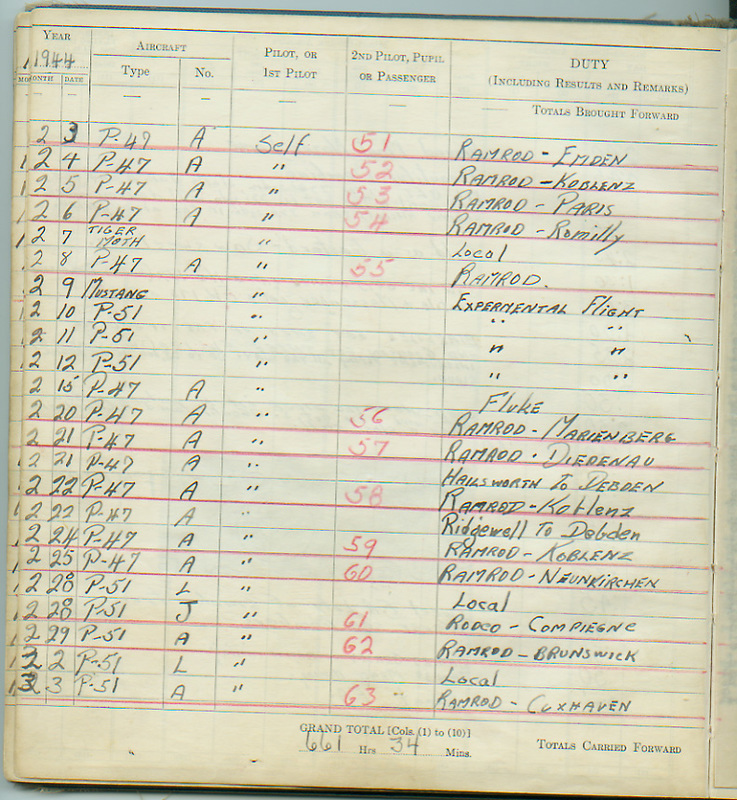 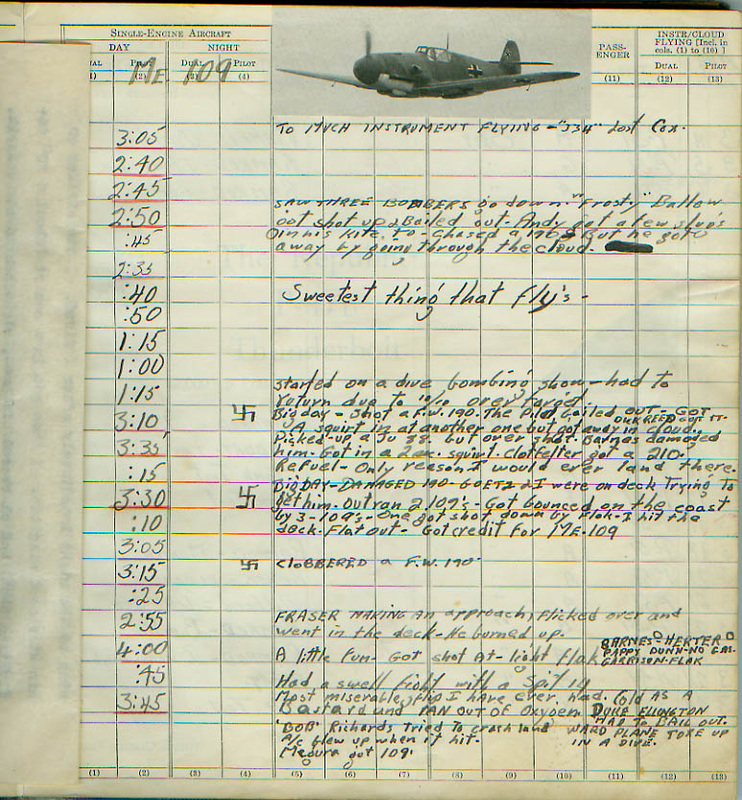 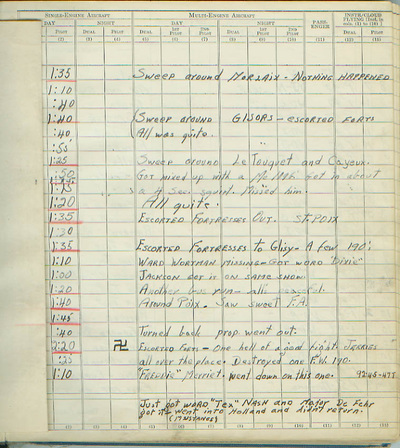 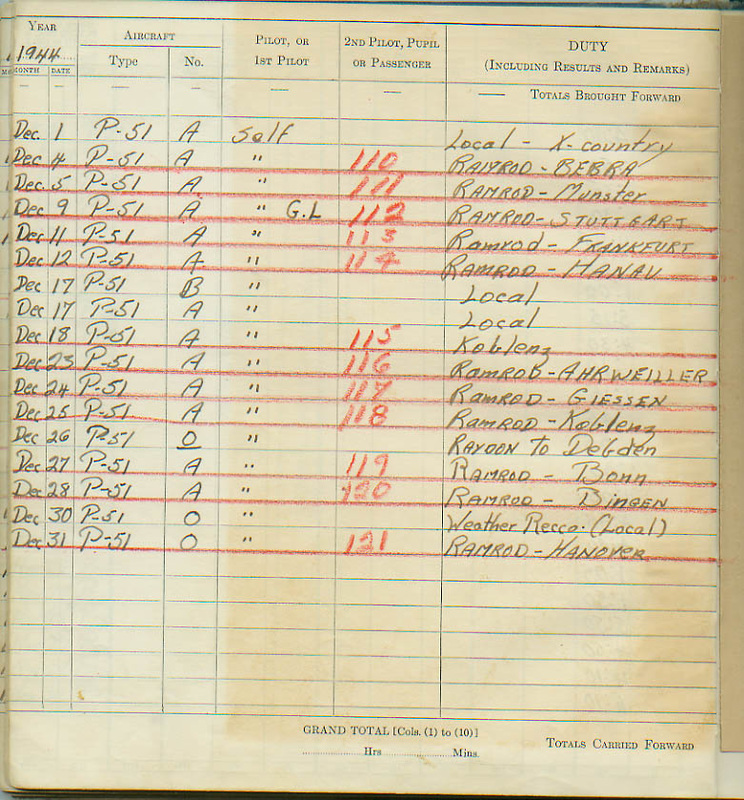 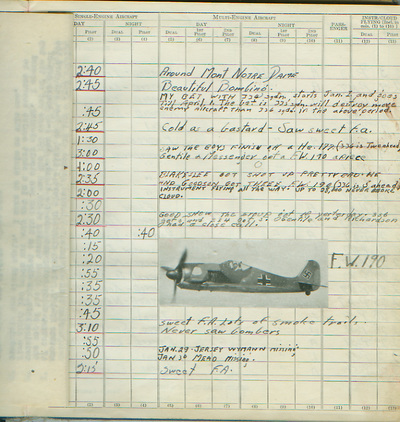 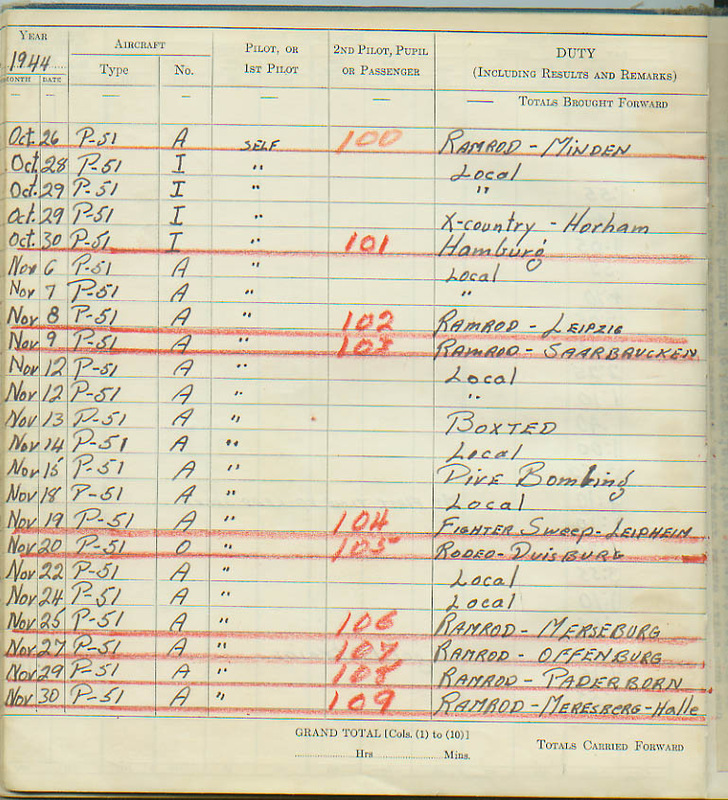 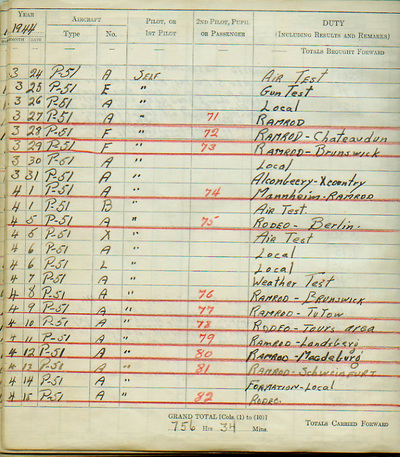 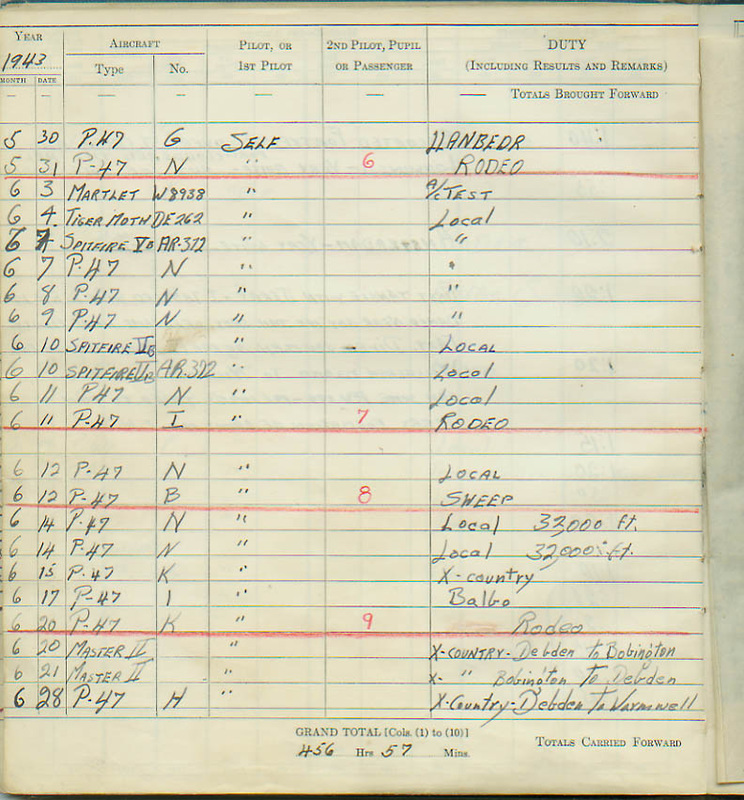 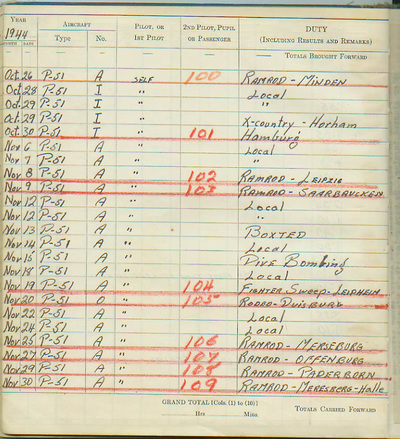 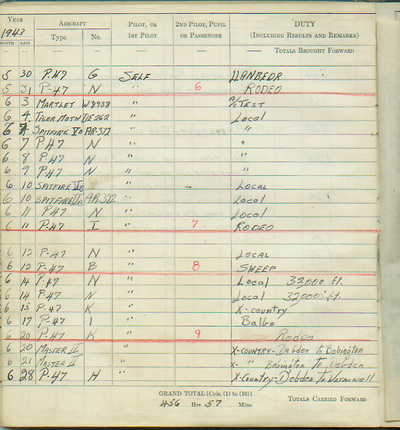 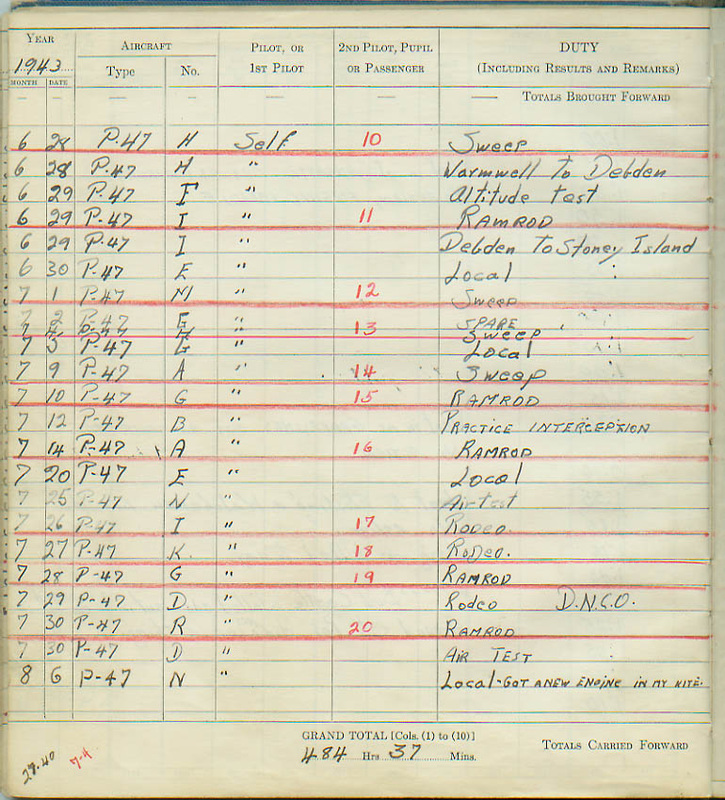 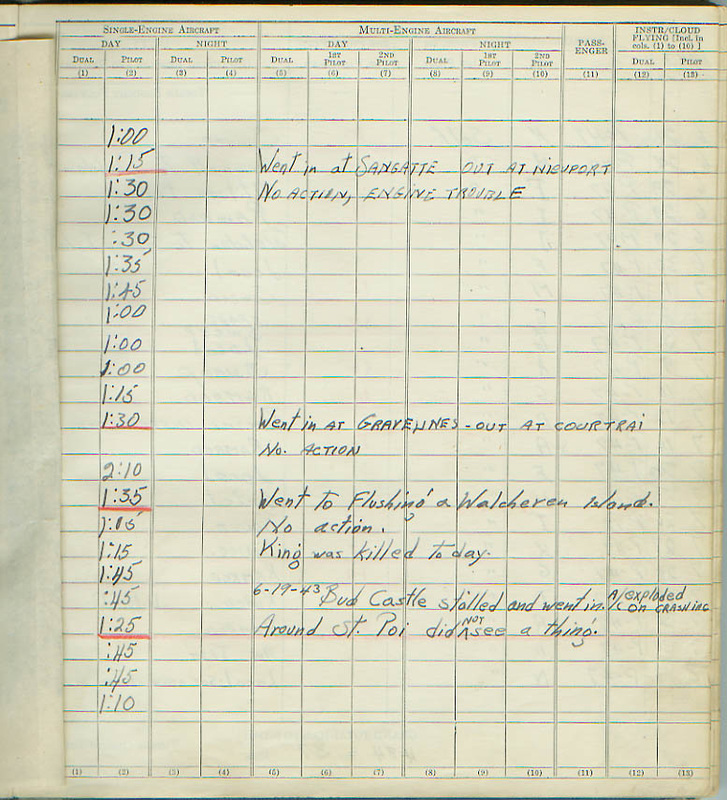 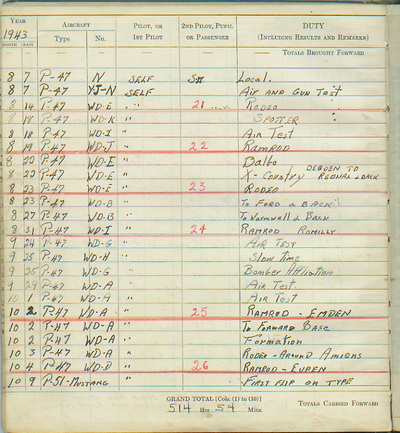 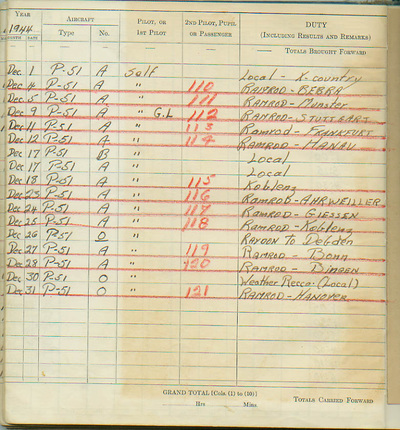 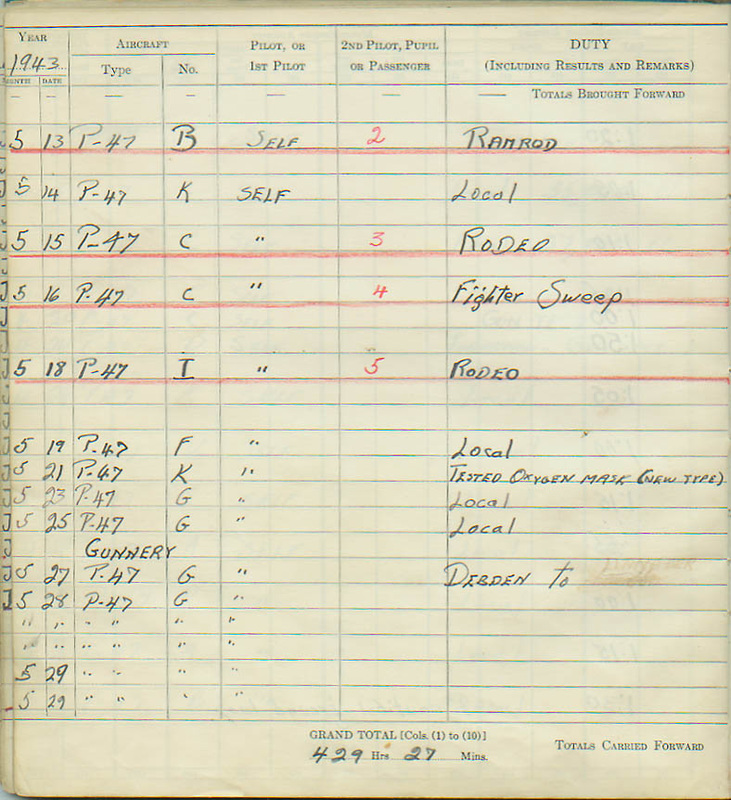 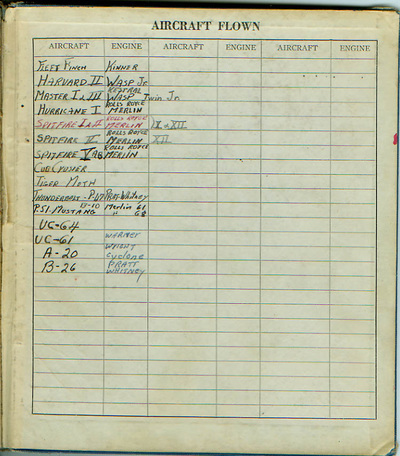 Here is his WWII logbook. 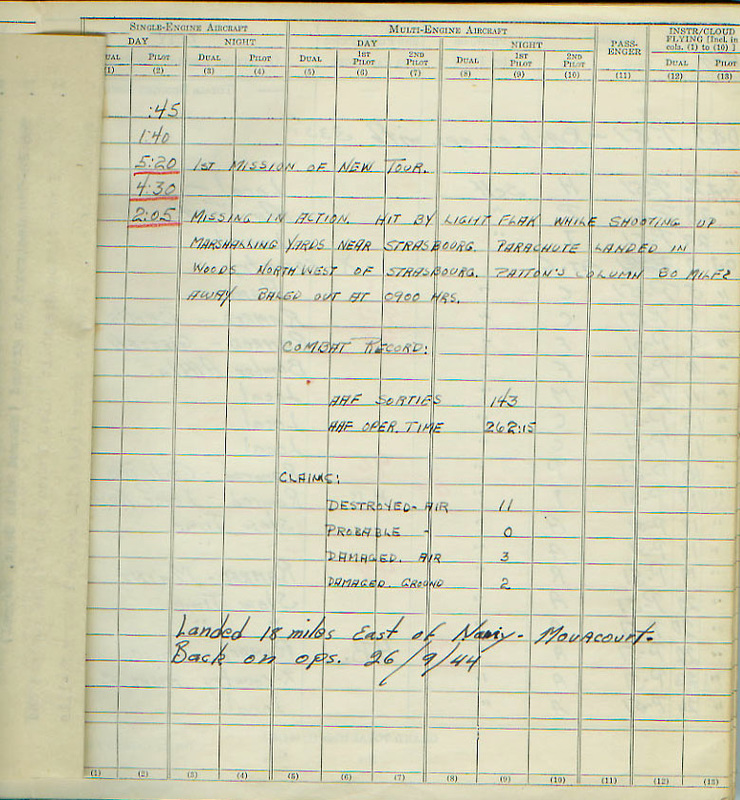 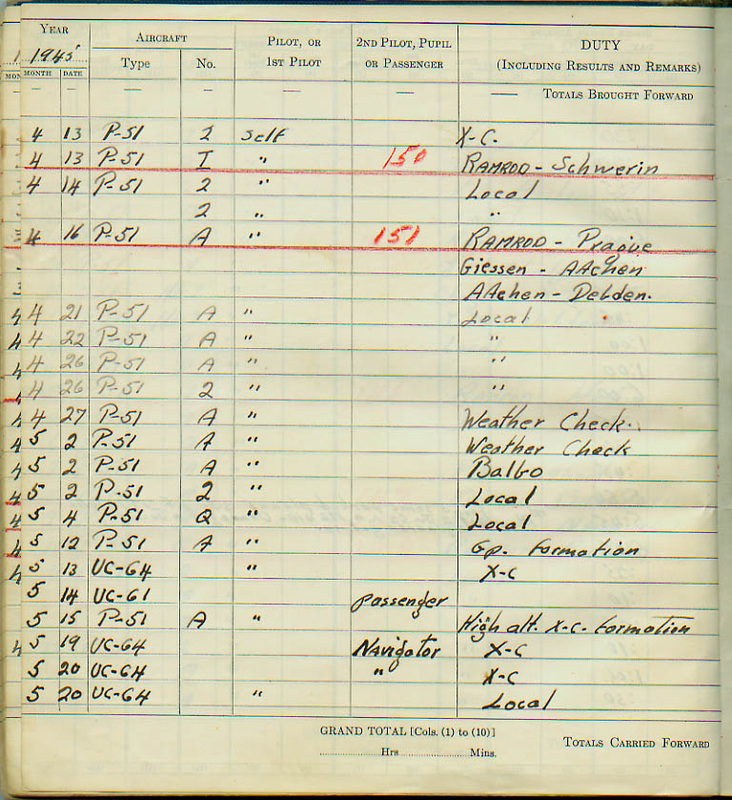 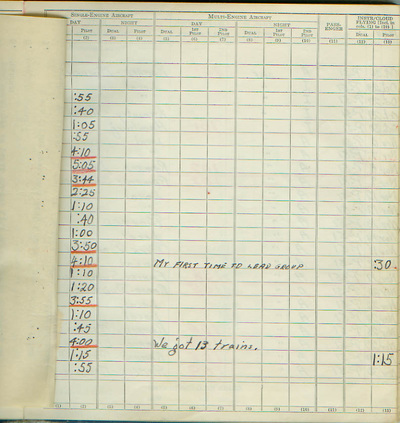 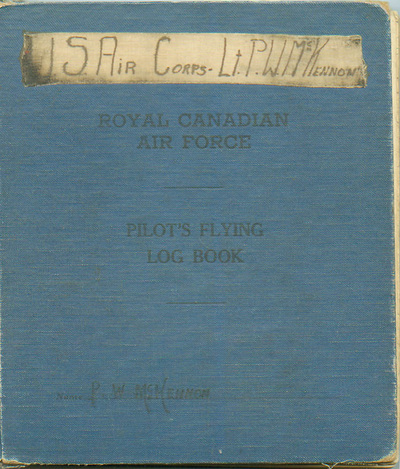 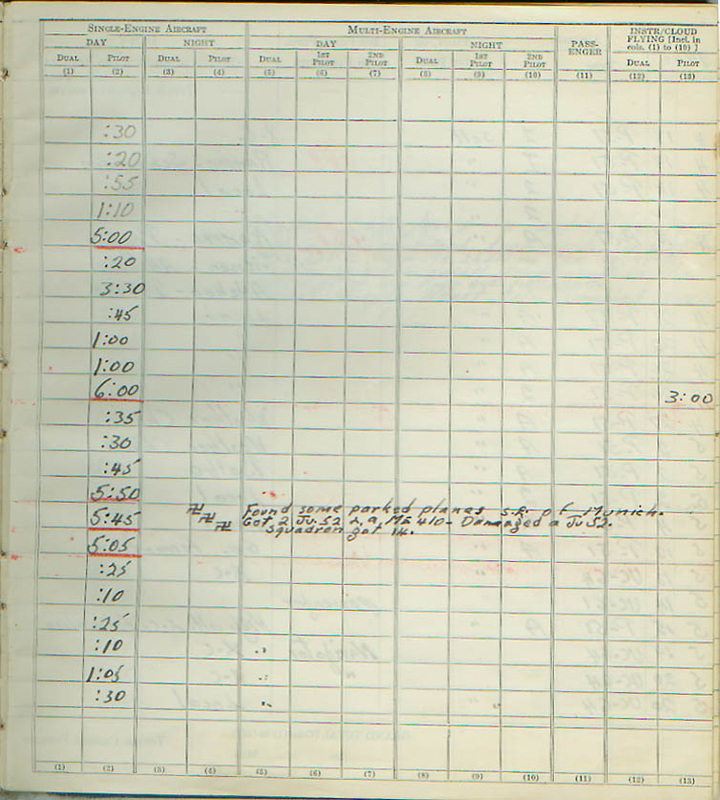 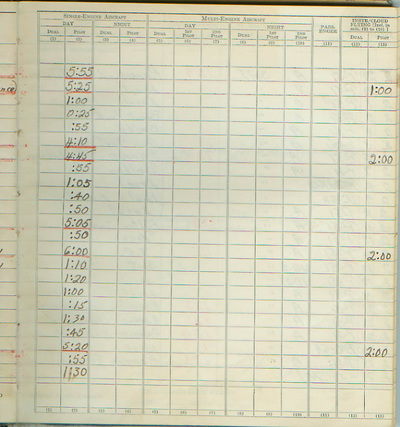 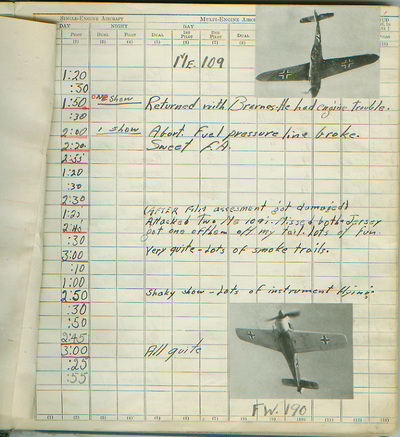 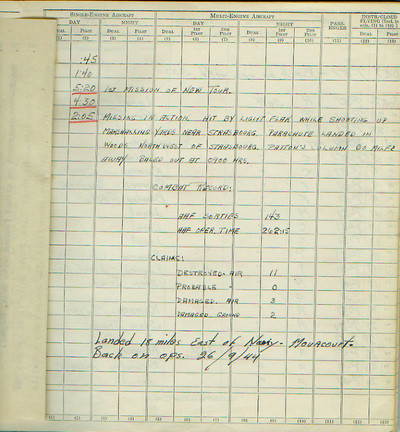 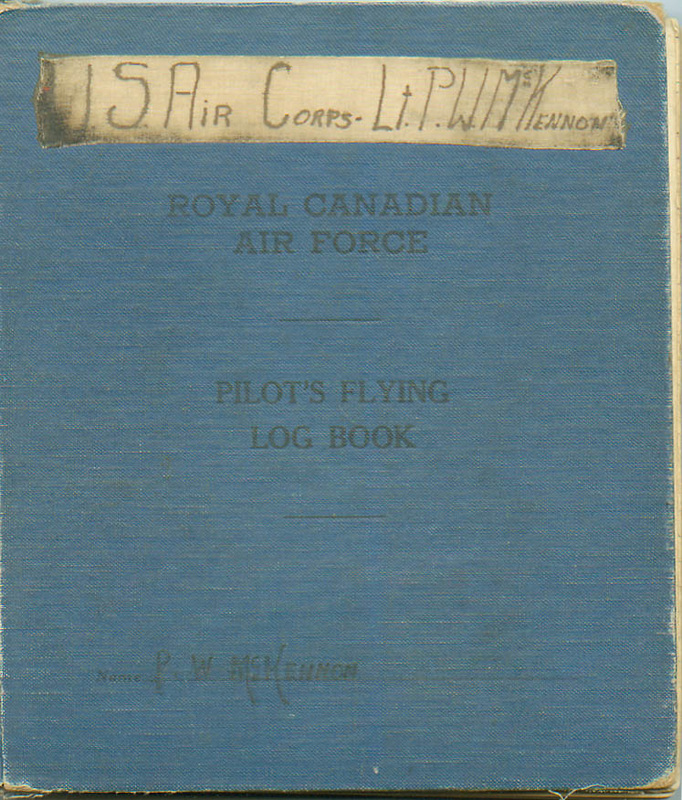 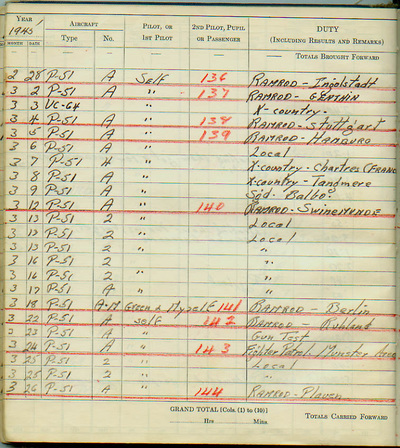 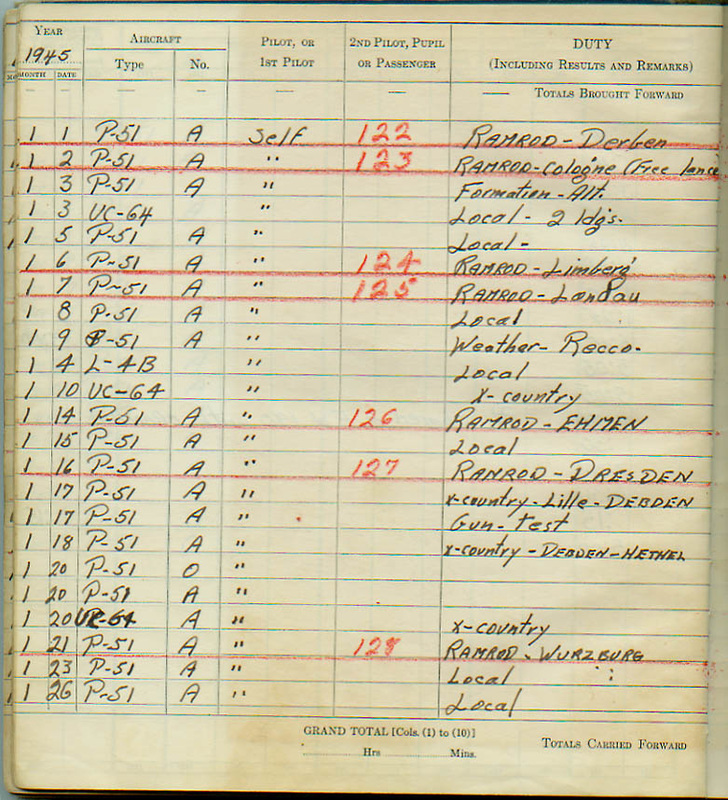 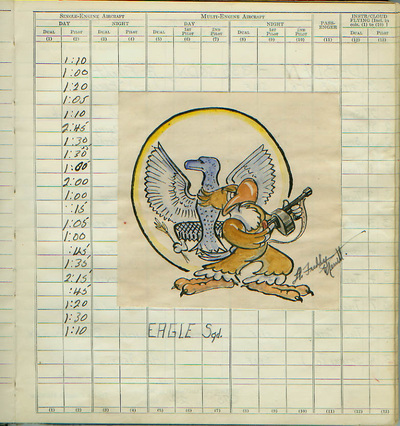 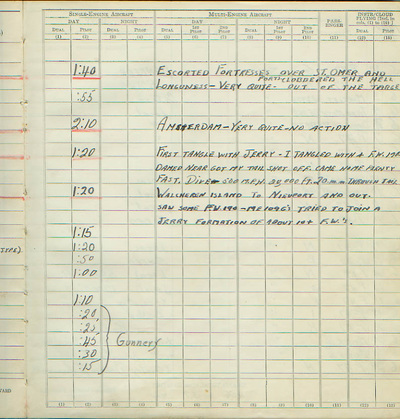 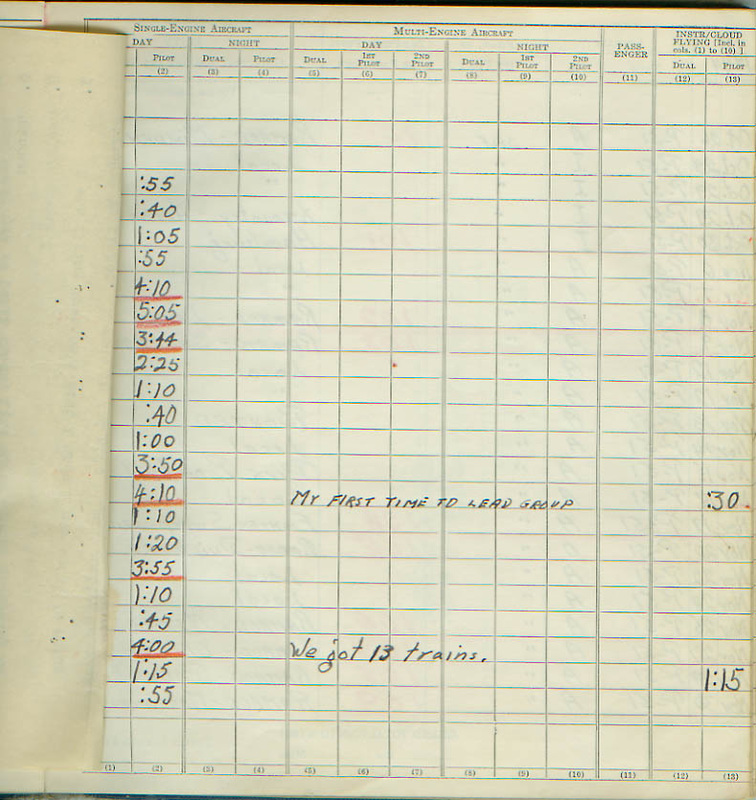 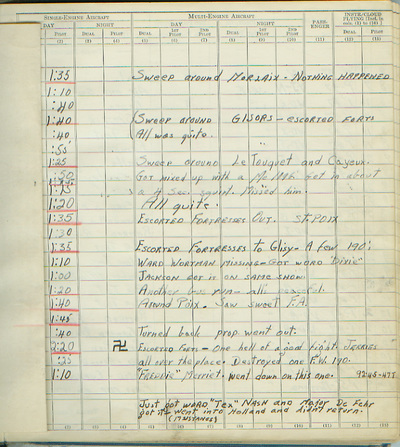 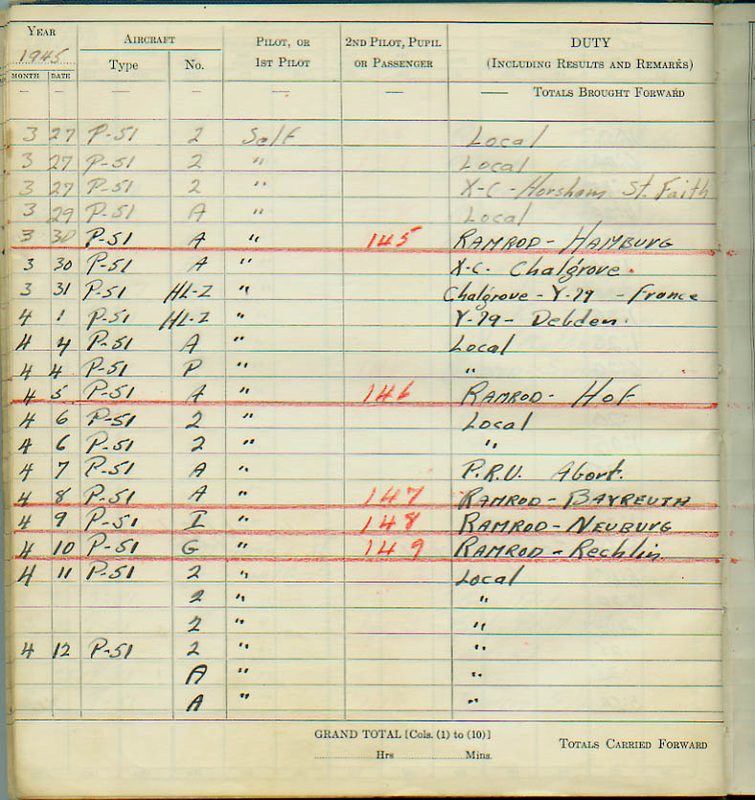 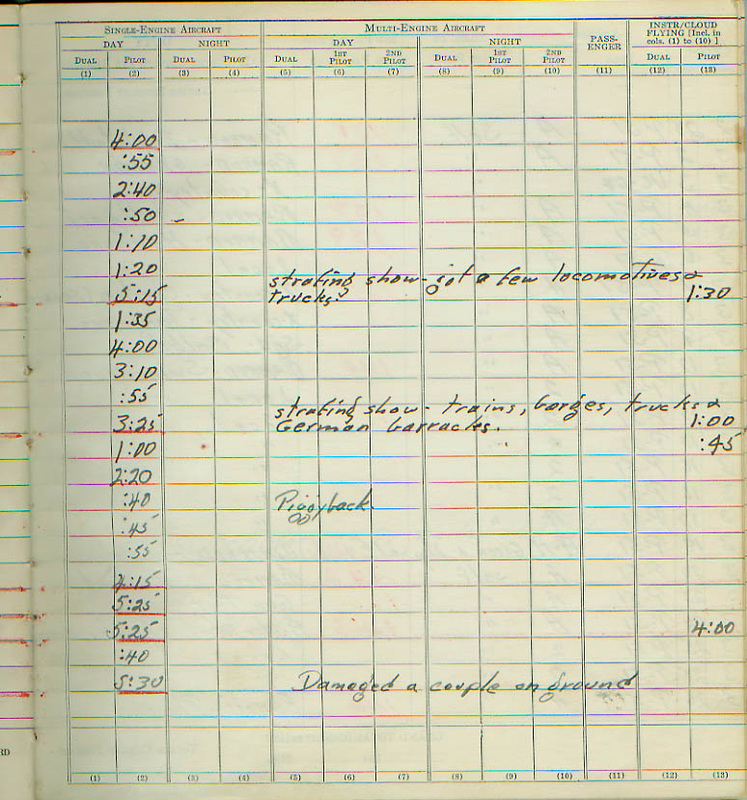 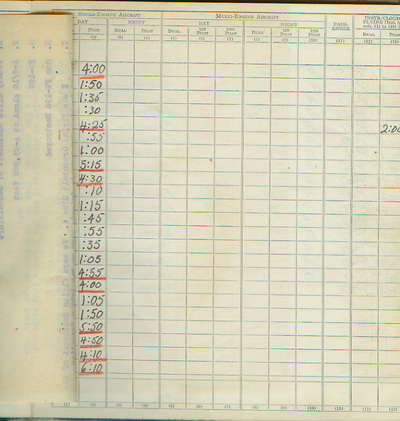 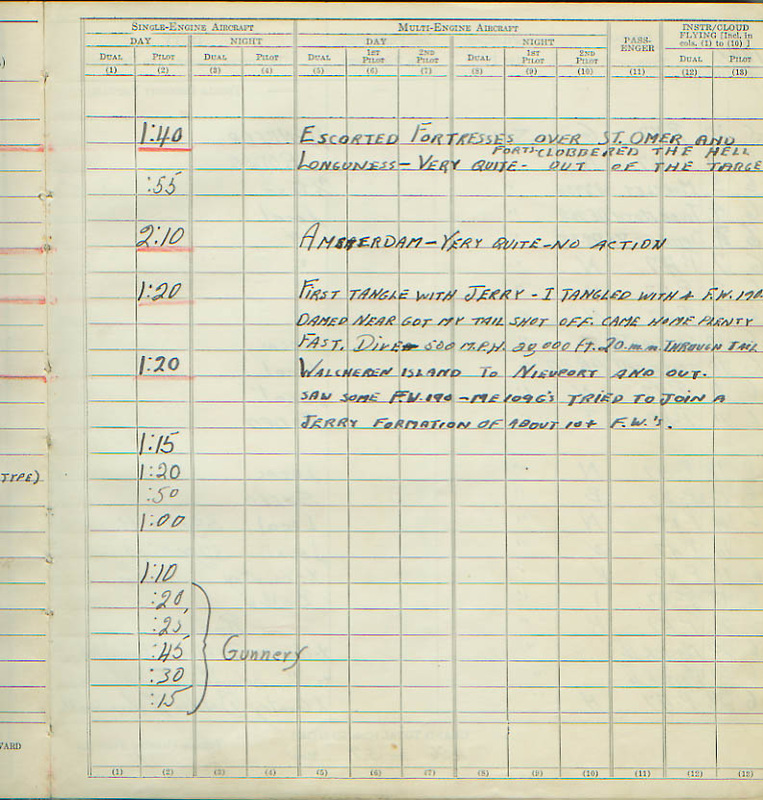 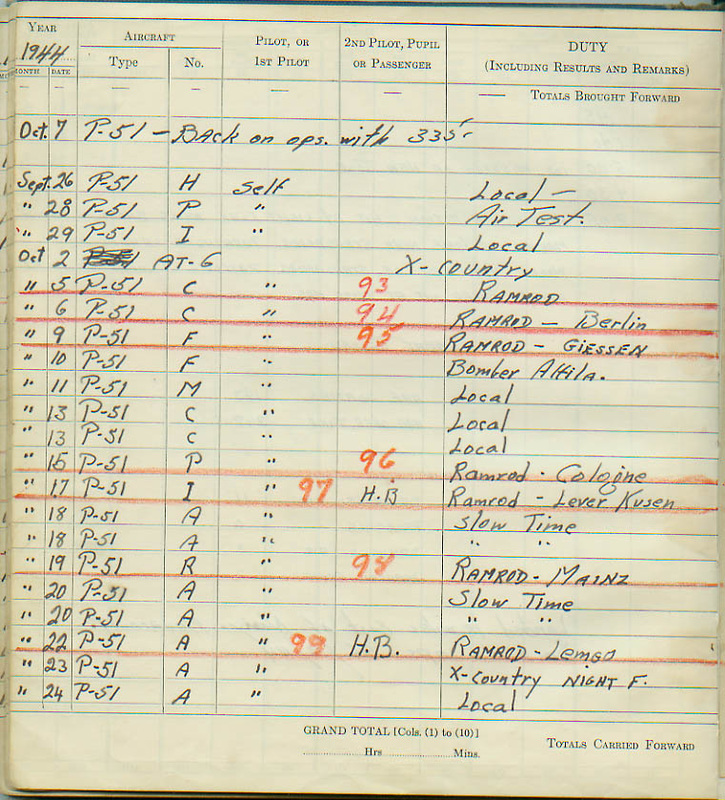 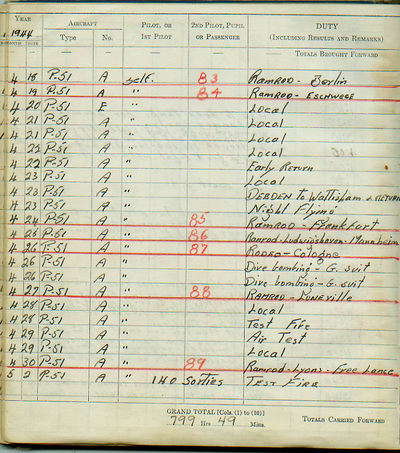 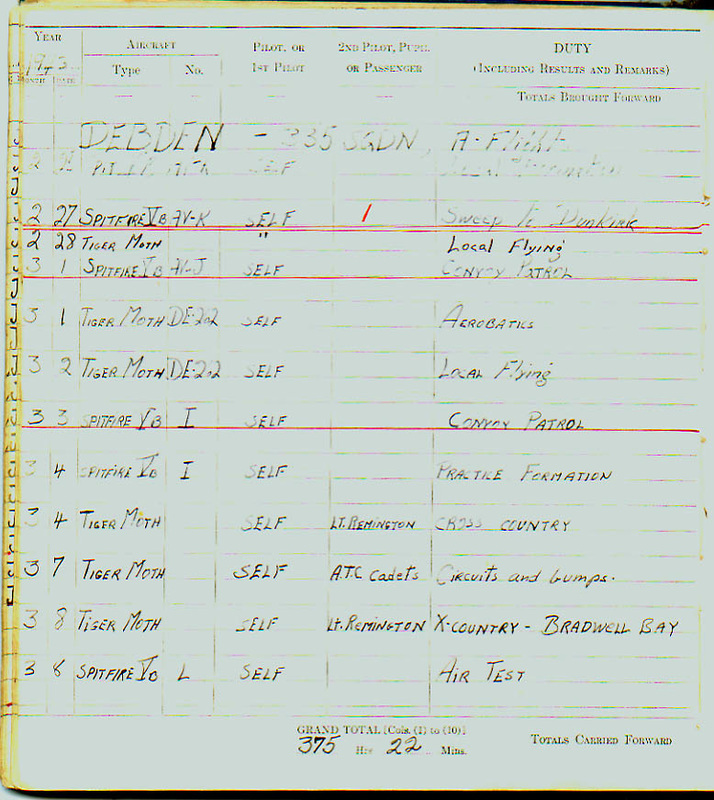 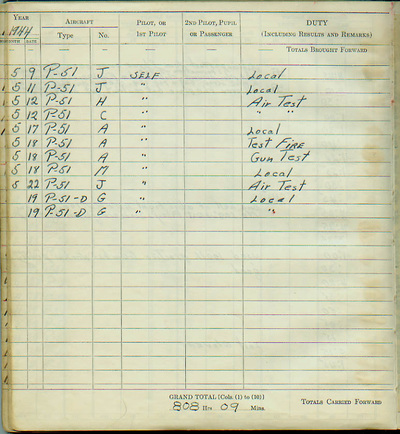 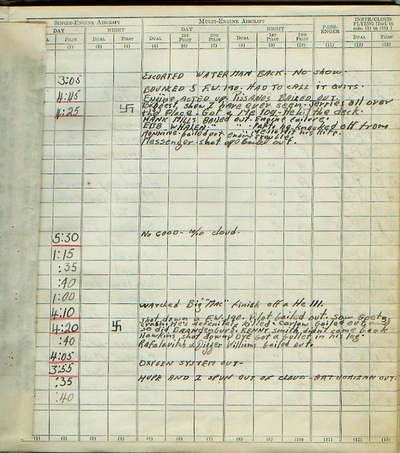 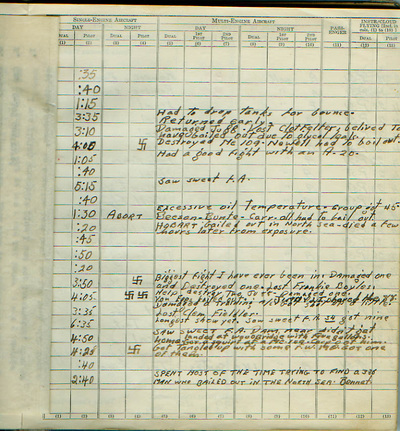 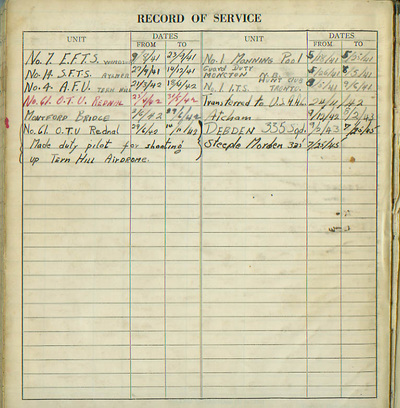 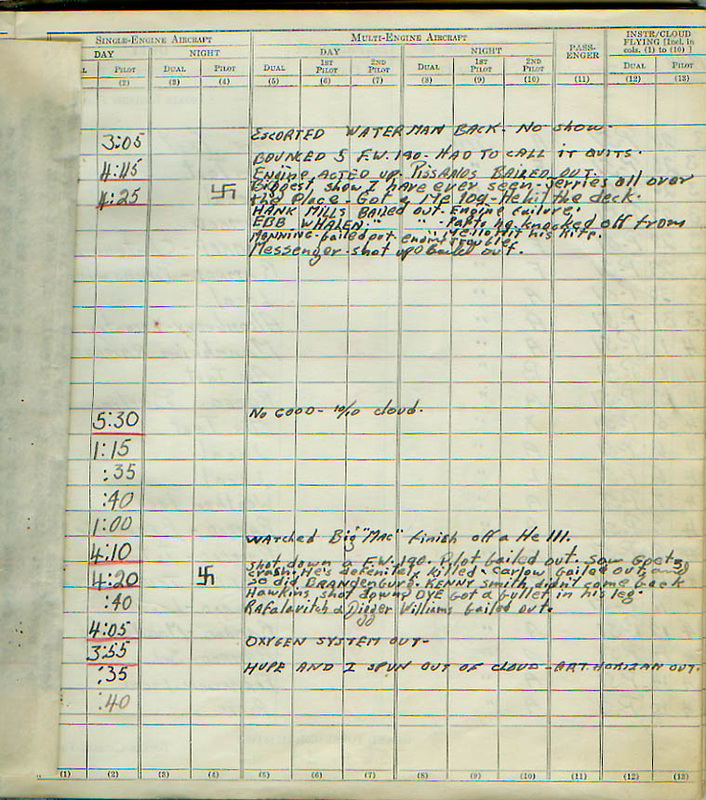 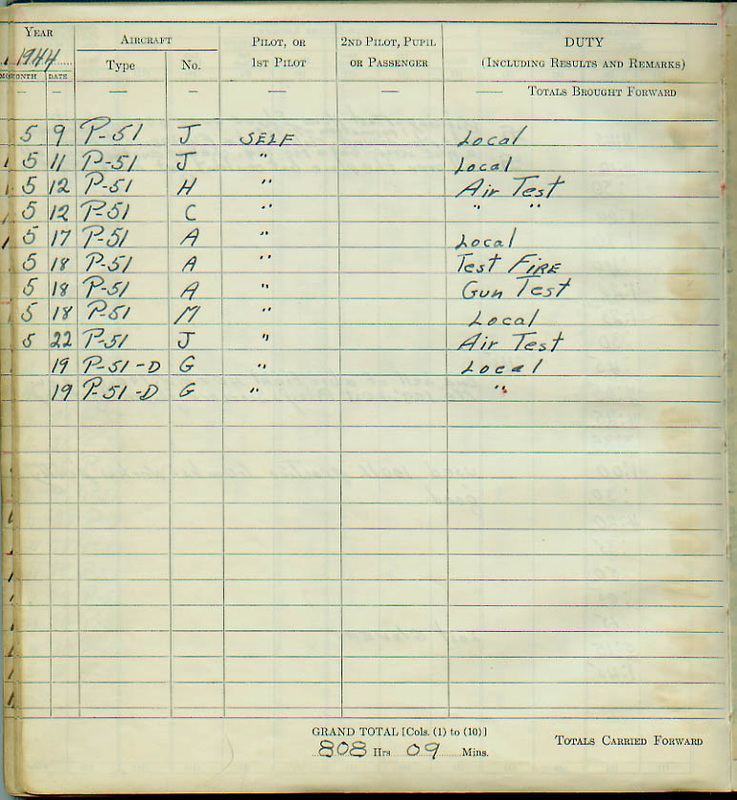 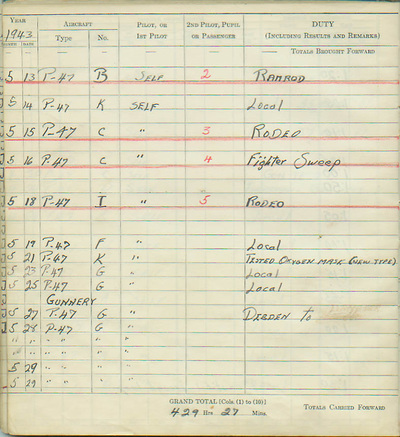 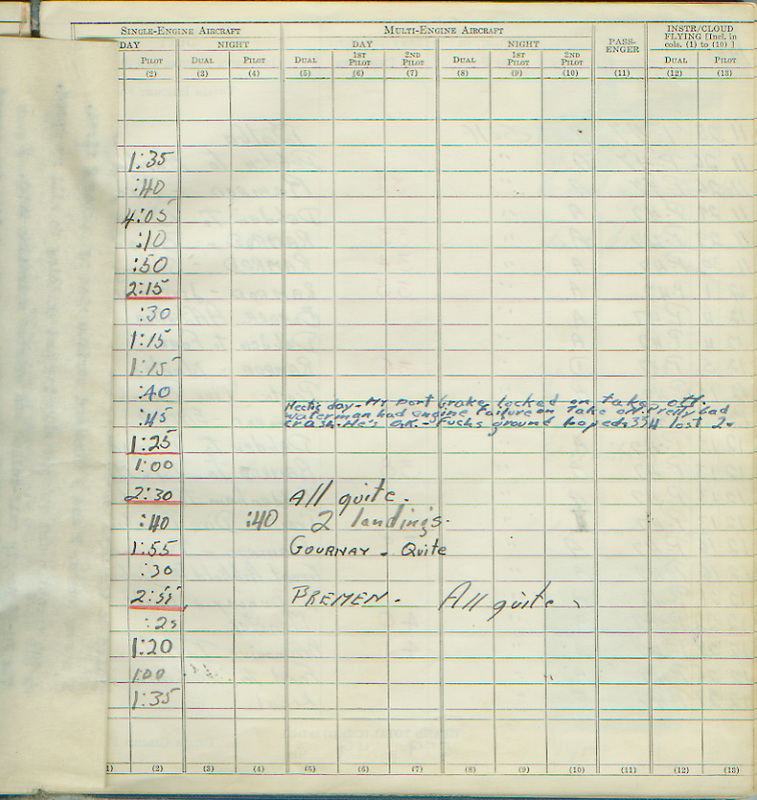 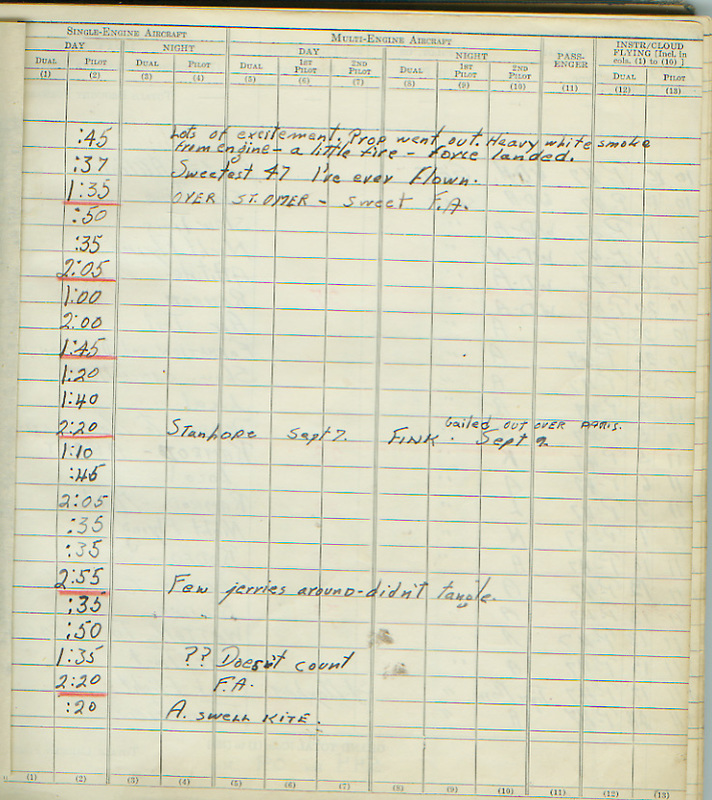 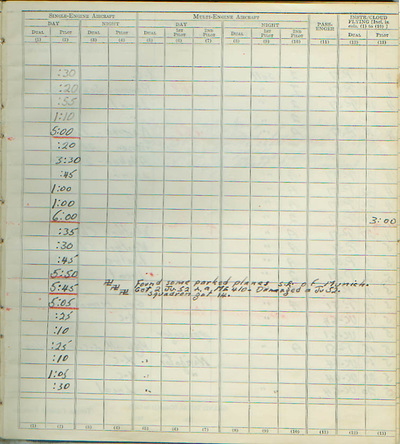 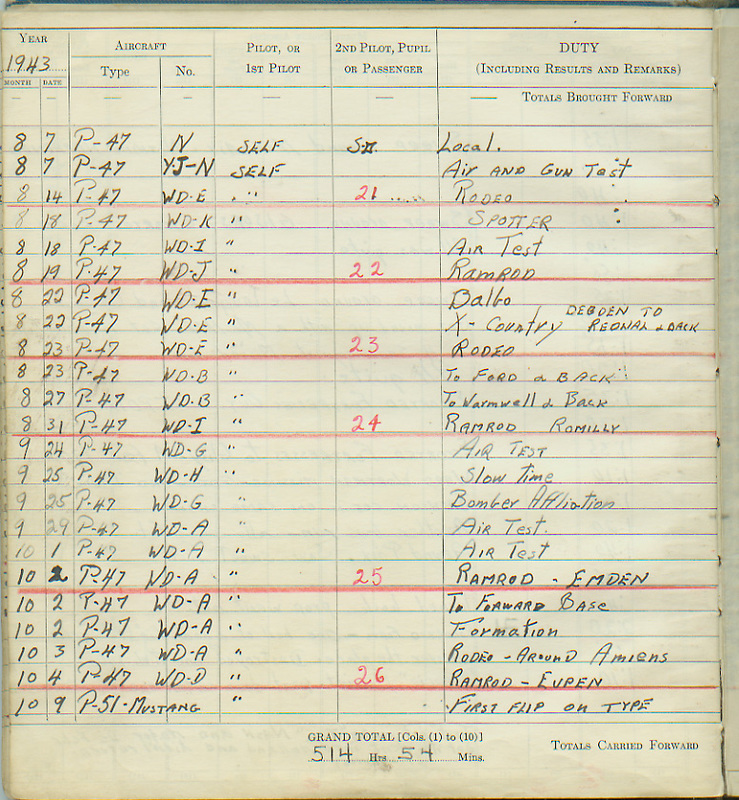 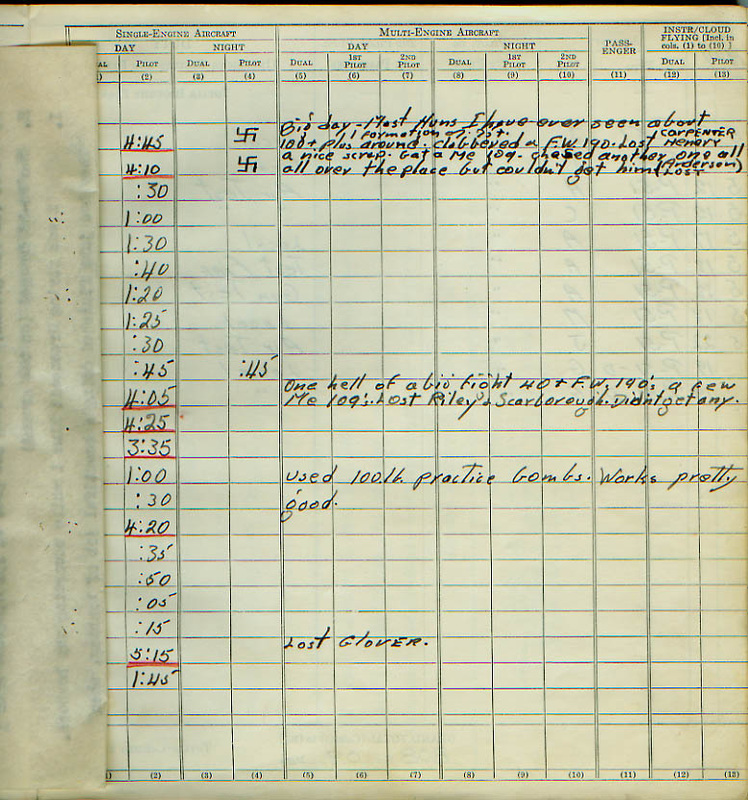 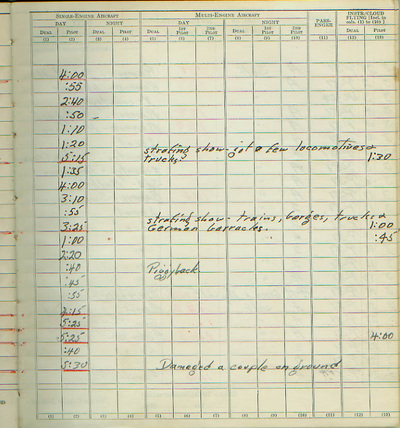 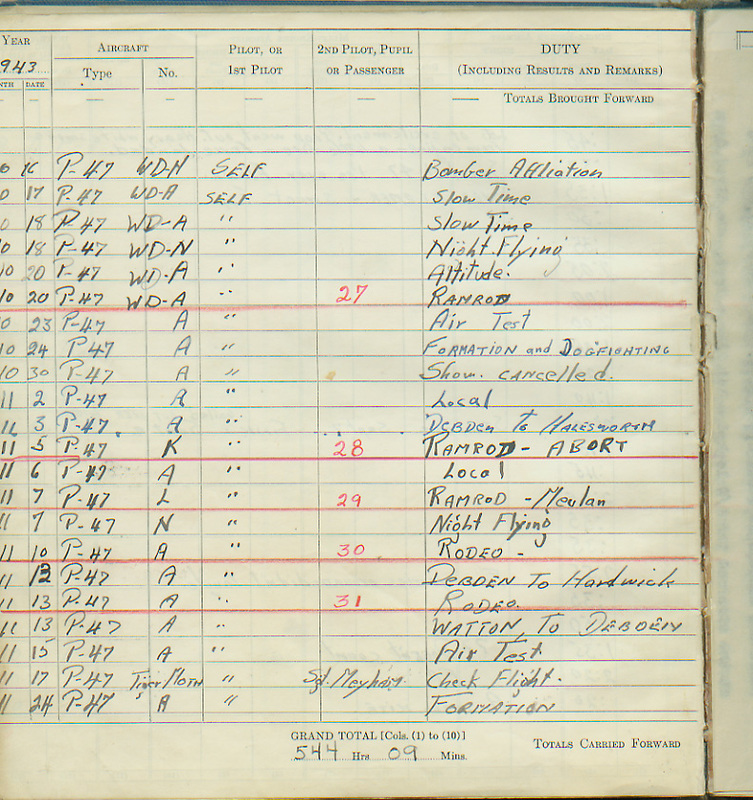 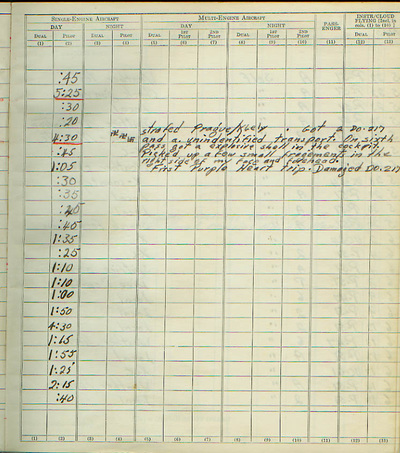 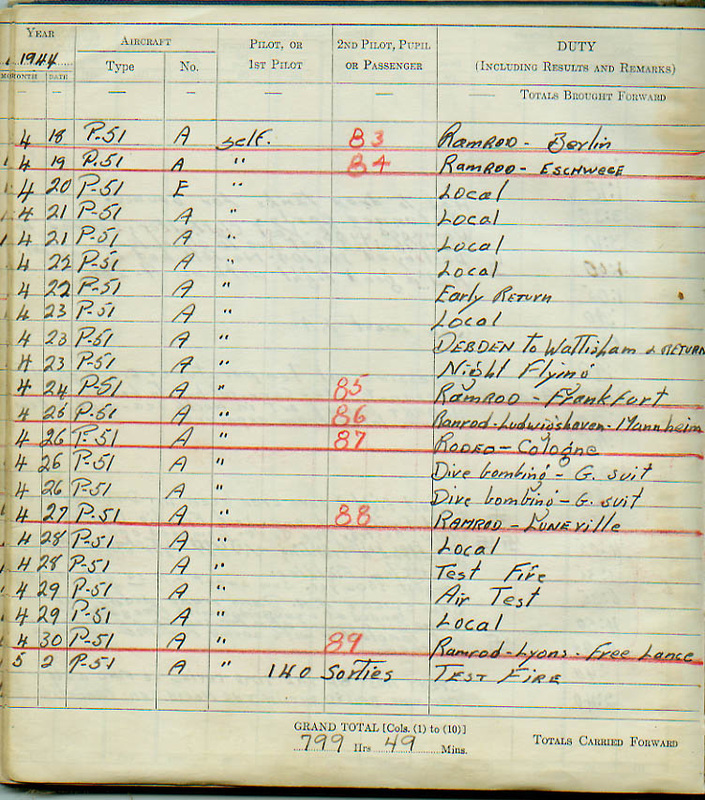 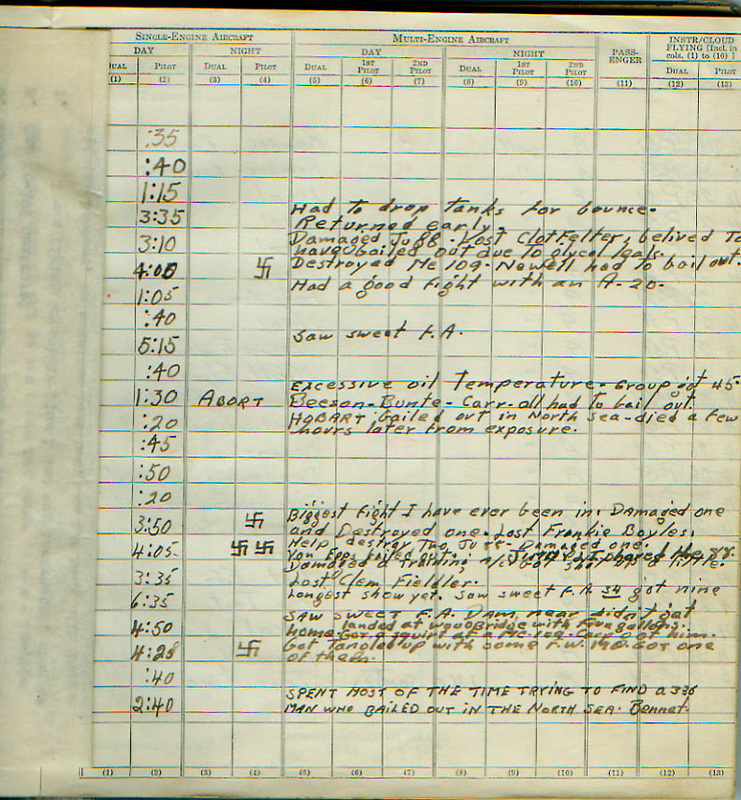 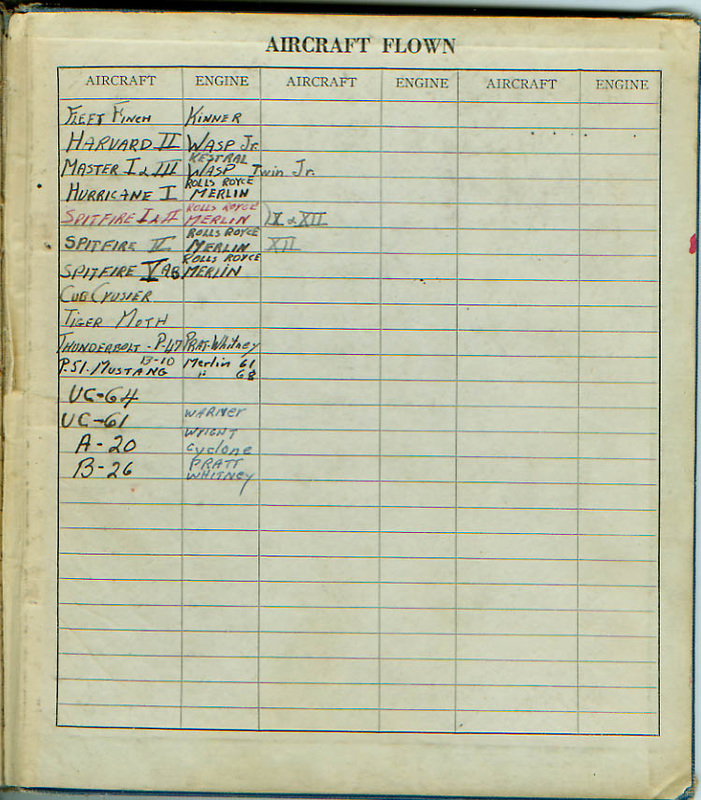 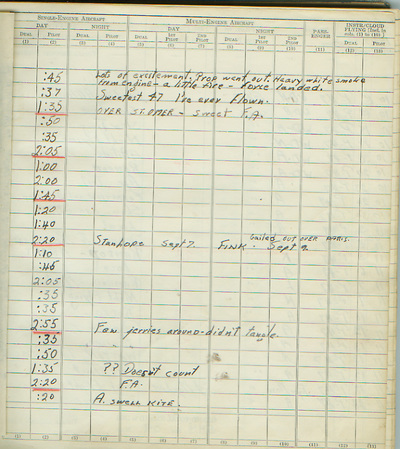 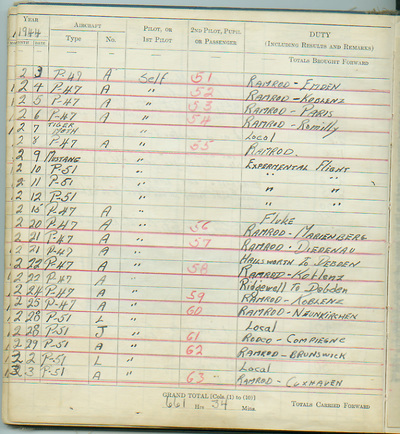 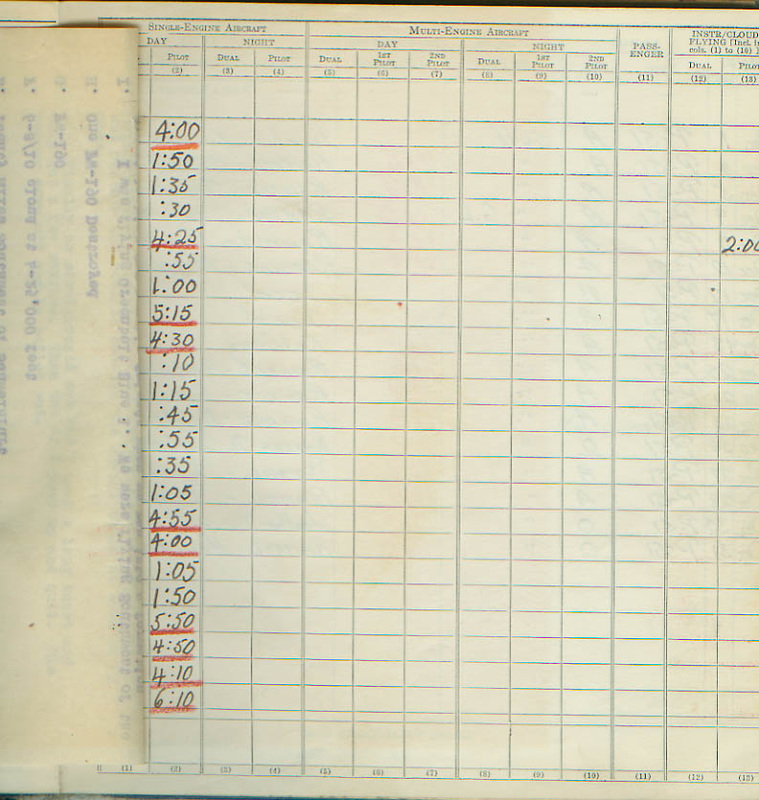 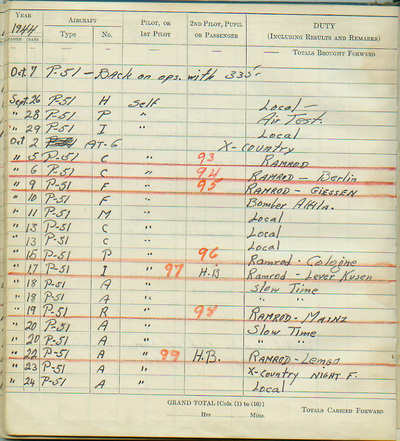 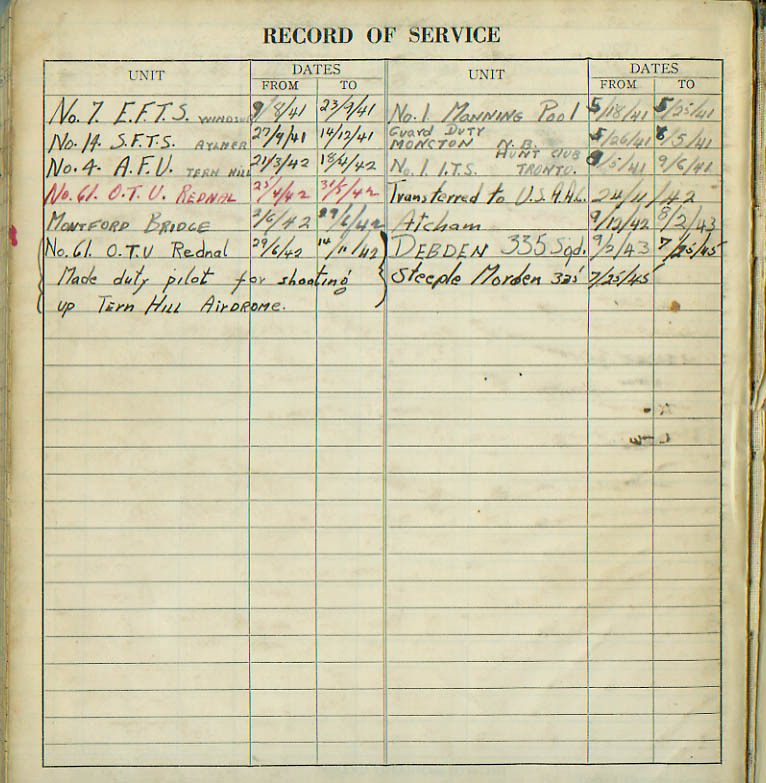 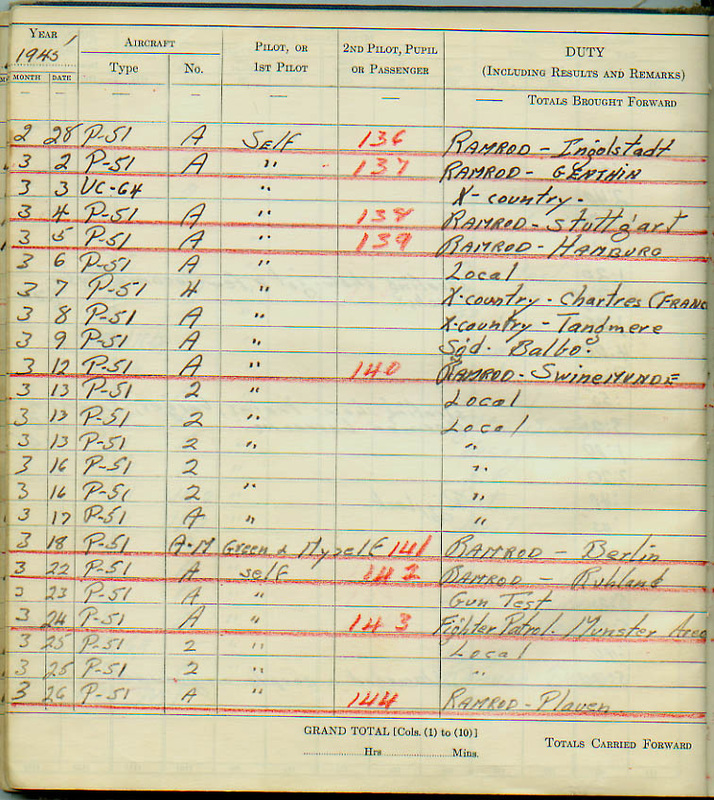 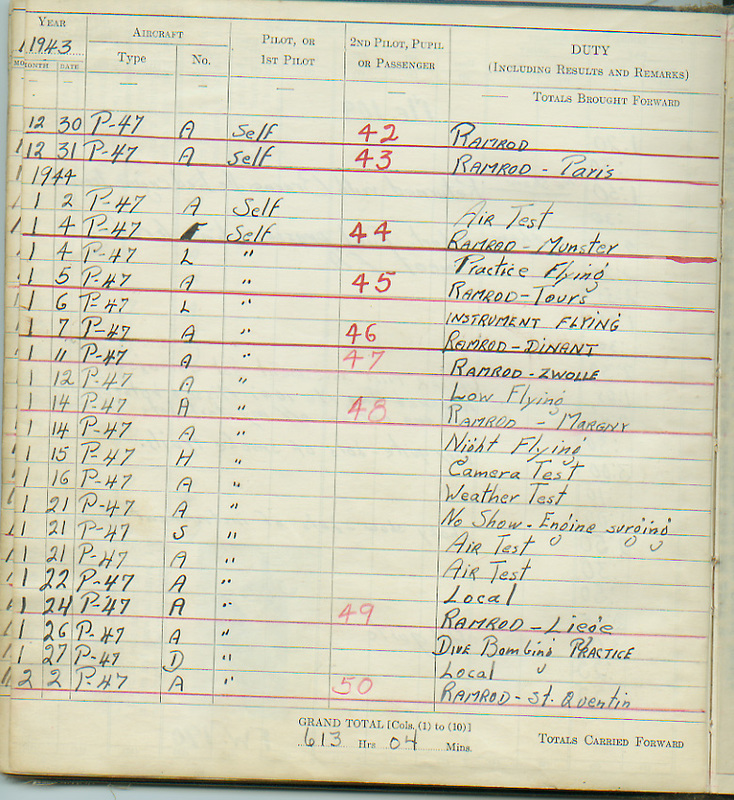 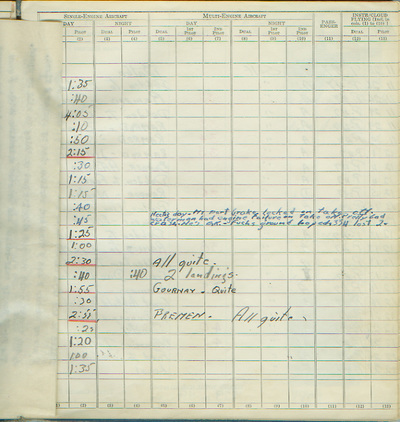 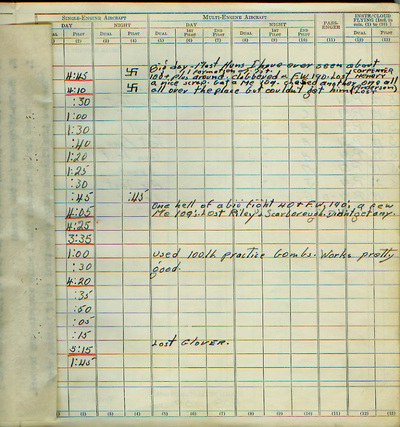 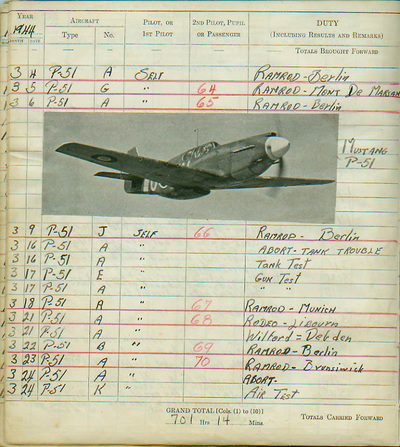 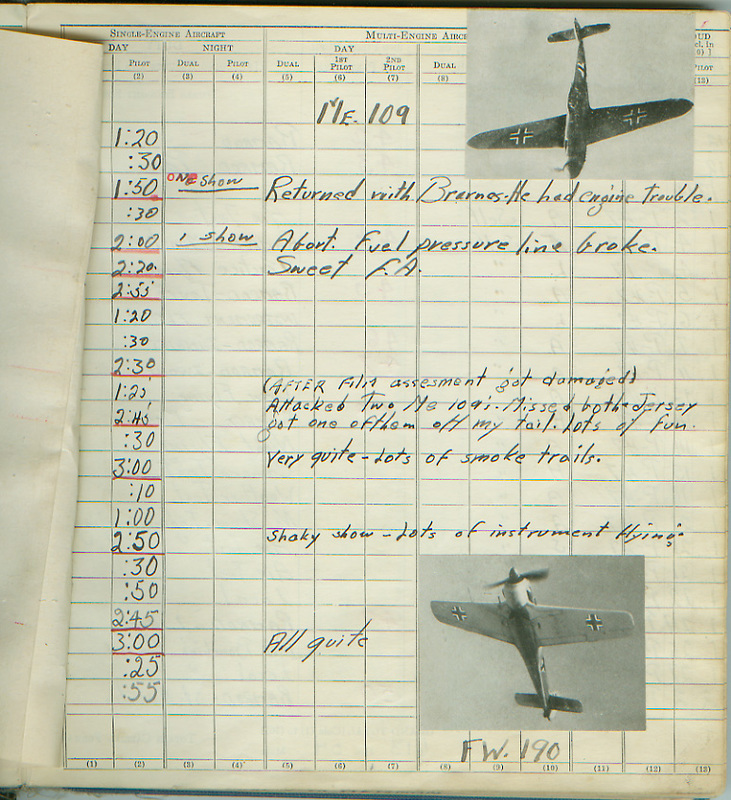 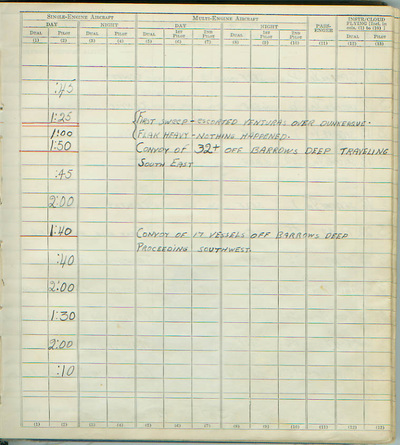 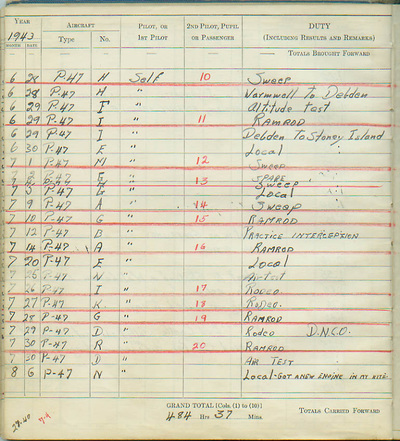 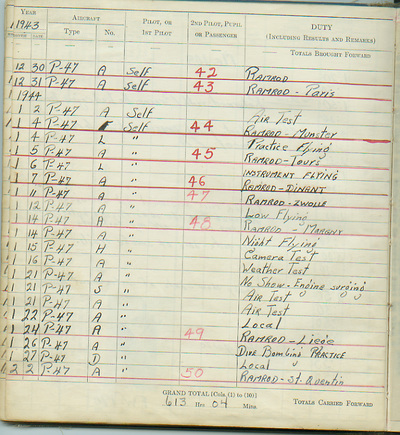 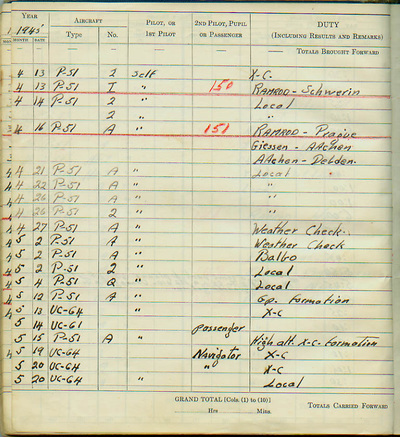 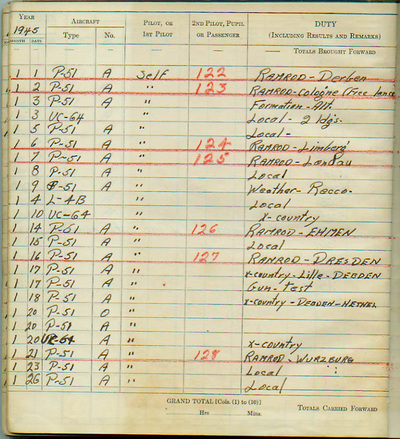 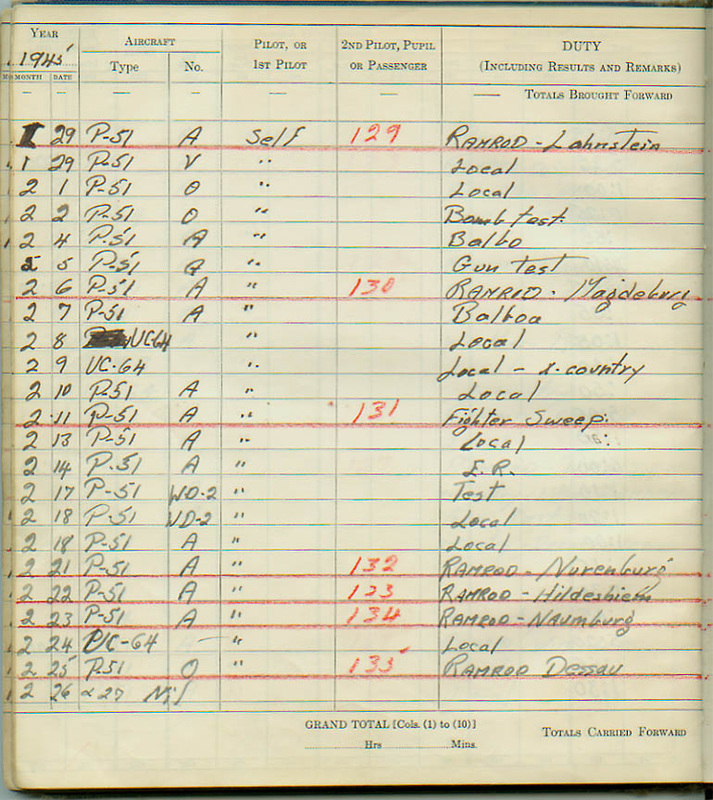 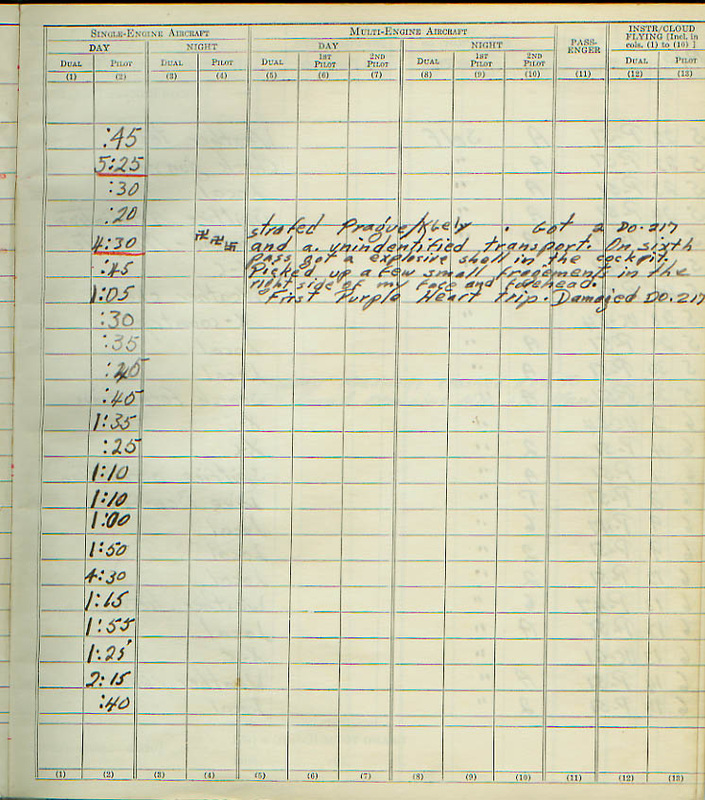 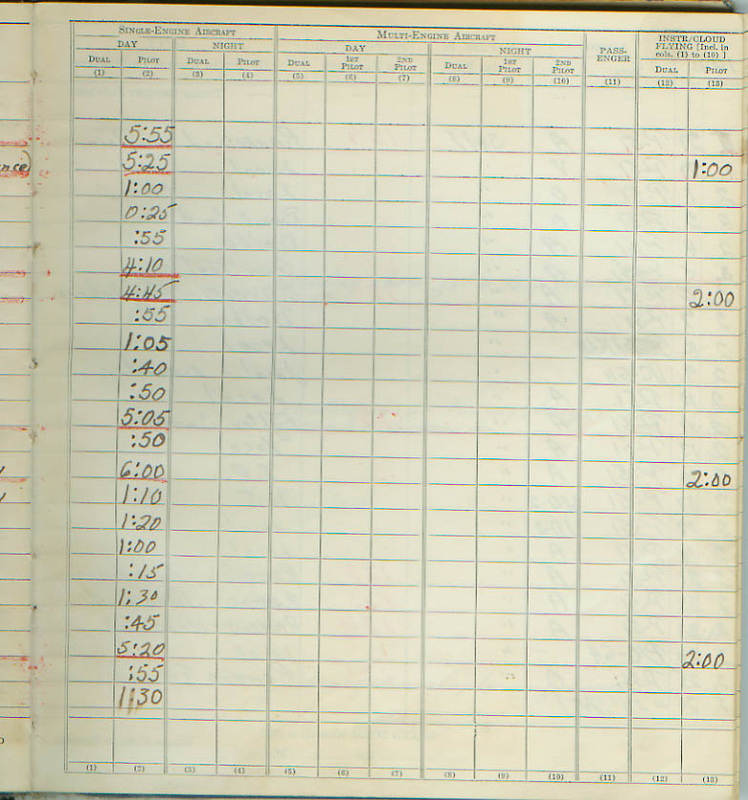 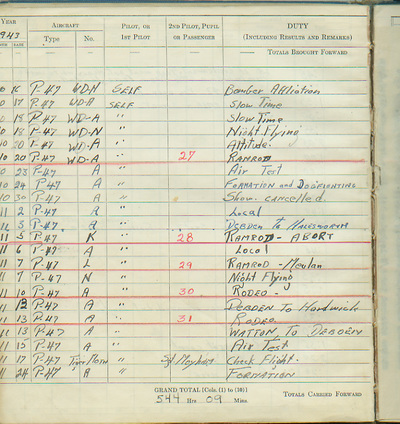 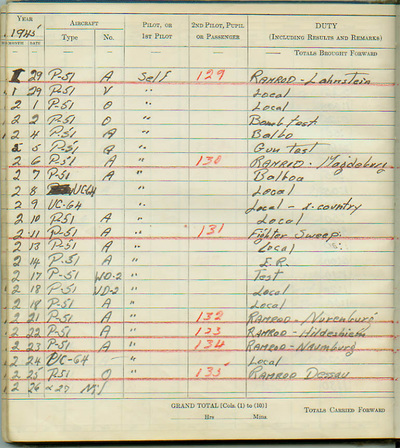 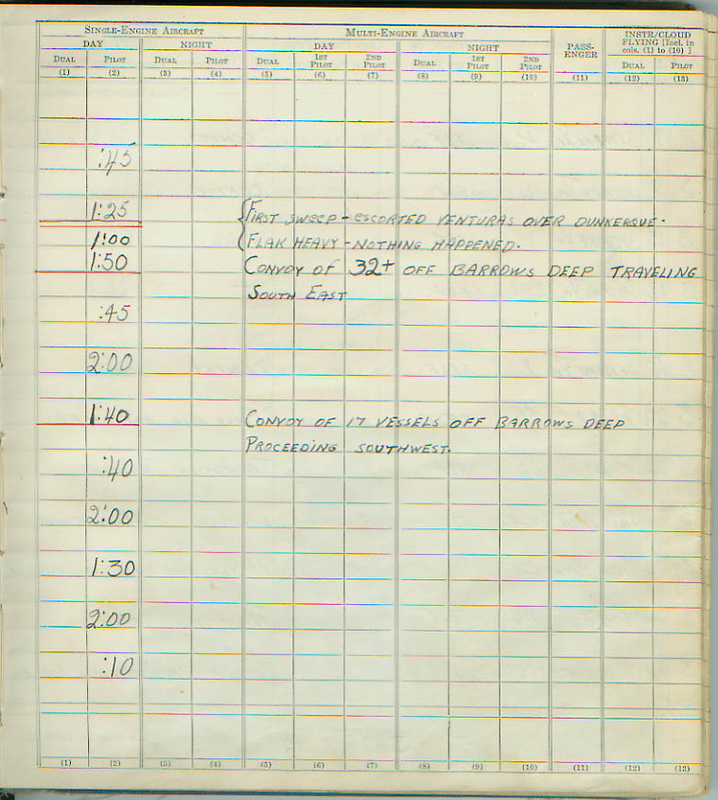 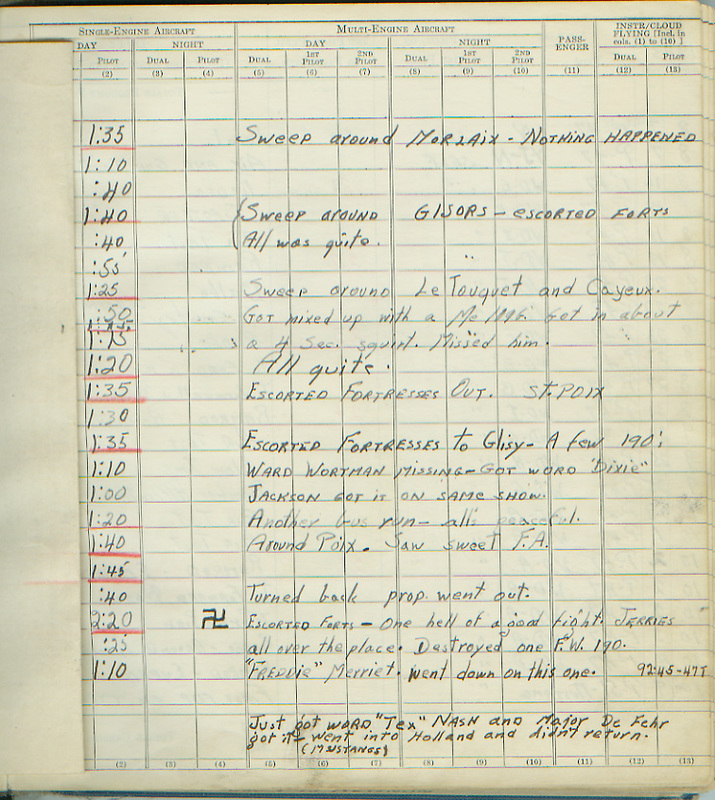 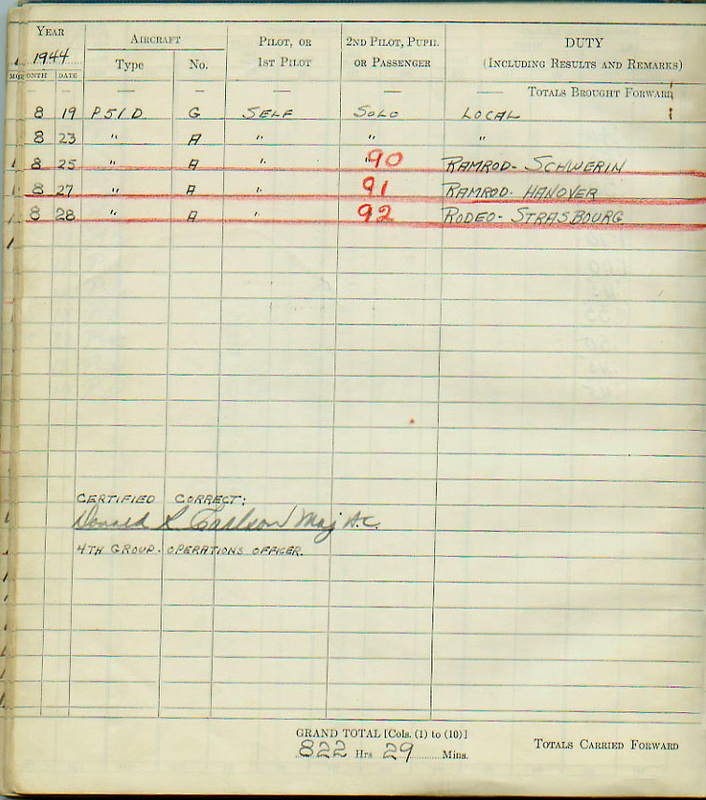 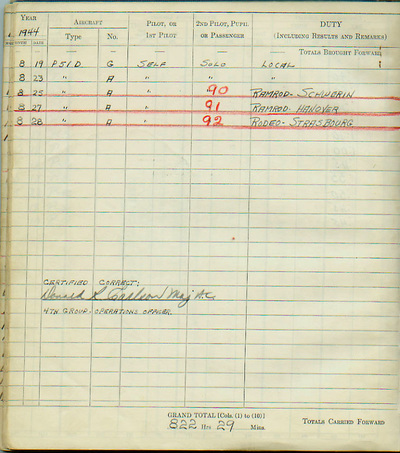 Please note that the second page of Major McKennon's logbook page spanning the entry dates 2-28-45 and 3-26-45 is missing.